Please select product options before adding to basket. 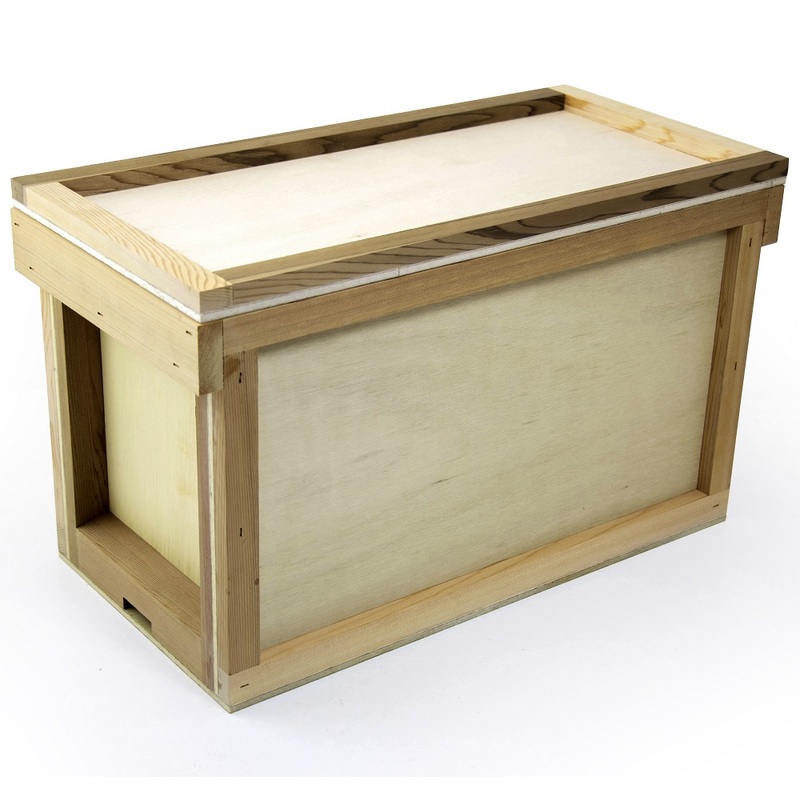 Constructed from Canadian Red Western Cedar and ply, these Nucleus Boxes house up to 5 B.S. frames and are intended for use with WBC and National hives. The boxes are a great option for anyone needing to transport bees due to their ventilated travel tops and they can also aid swarm protection and control by doubling as a collecting swarm box. Two of these Nuc Boxes will fit under one National roof.